The spam email is just an evolution of the telemarketing gimmicks of decades ago using the good old-fashioned landline telephone. Imagine today if your mobile number is in a public directory, and you receive unexpected telemarketing calls not even for a legitimate product, but for questionable ones. That is the exact analogy of spam email, highly questionable products being offered by a random person online using the email system as the channel. Telemarketer calls were stopped by the DNC or do not call list. It is a public database maintained by FTC, where the owners express their desire not to be called by the telemarketers for a period of 31 consecutive days. In the event of the 31 days were consumed, a request can be resent to repeat the same privilege. In the world of email, there is no such thing as “do not email list" if it were the case there will be lesser victims of online fraud, phishing and virus infection. The first category of anti spam device is the human end-users themselves. It was very effective during the early days when having an email address was a big deal, and the person can only send and receive an email within the domain name he/she is under. That means that an email address with @yahoo.com can only send and receive an email from the same users of @yahoo.com email. Same goes for the user of @hotmail.com email address, they cannot send and receive an email from @yahoo.com addresses. These form of incompatibility was the norm during the late 80’s to the early 90’s, as vendors were not yet into an agreement on how the mail headers are formed. Email headers are the cryptic mechanics in a written format that details what, when and how the email message is received and sent. The second category of the anti spam device is automation on the part of the email clients. Mainstream email clients like Mozilla Thunderbird and its proprietary competitor, Microsoft Outlook are built with “Junk Folder" feature embedded with them. The bundled “Junk Folder" system enables users to automate the filtering of spam through defining of specialized rules. One word per rule or a phrase per rule is defined by the user. They can also import a rule from another user that already built an extensive list of rule filters. The effectiveness of using rule filters ended when spammers realized the extensive use of such. They started to deliberately misspell the words, in anticipation that the correct spelling of a spam keyword was already defined as spam by the user. This is evident in our mailbox today, kindly check the “Junk Folder", and see how many variants spammers made to spell the word “viagra." The 3rd category of anti spam device is through using an anti spam device software in the mail server itself. This is practical at first glance because the software is already running within the mail server itself, the organization does not need to acquire a separate server or service in order to take care of their anti spam device needs. The long-term problem system administrators will encounter with an anti spam device setup within the mail server is bloat. The mail server needs adequate system resources to do its job of delivering the emails to and from the user’s mailbox. Making the mail server do the job of massively filtering the emails against spam and malicious attachments increases its tasks without increasing the system resources. A smart system administrator will initiate a hardware upgrade for the mail server before rolling-out a software anti spam device. This will prevent problems like more frequent mail server down times, intensified heat issue and higher maintenance cost in the long term. 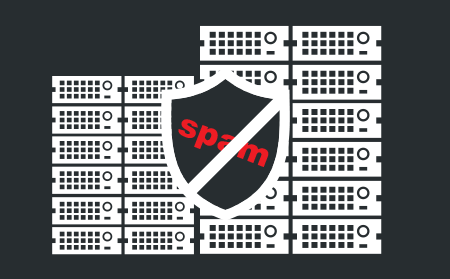 The 4th category of anti spam device is either a hardware appliance or a hosted service, with the goal of countering the spam entering the mail server. The primary goal is to free the mail server from any filtering tasks, as the anti spam device takes-over the work enabling the spam free mailbox for the end-users. When you’re considering an anti spam device, consider Comodo Dome Anti Spam. It’s a device that runs stealthily in the background since it is a hardware device that runs alongside the mail server. Comodo Dome Anti Spam device uses heuristics scanning of emails, it installs a special filter for those still suspiciously behaving file attachments. Through its simplicity, while being flexible, the Comodo Dome Anti Spam device scales with different sized networks. A hosted anti spam device solution works transparently for the users. It runs parallel to the mail server and does not slow it down compared to a software spam cleaner free. A free trial is available for evaluation, which can demonstrate the strength of detection.